Some disnosaur sketches whilst waiting for a plane. 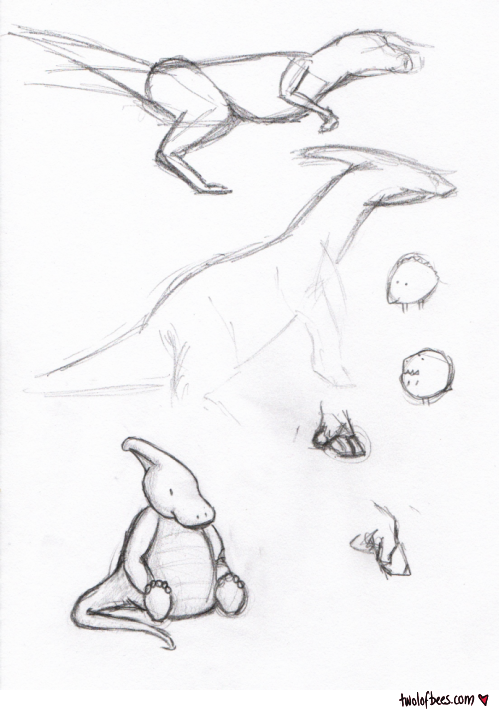 I'm fairly embarrassed by the top two, but the chubby little parasaurolophus turned out pretty well. How awesome are the little pea dinosaurs?